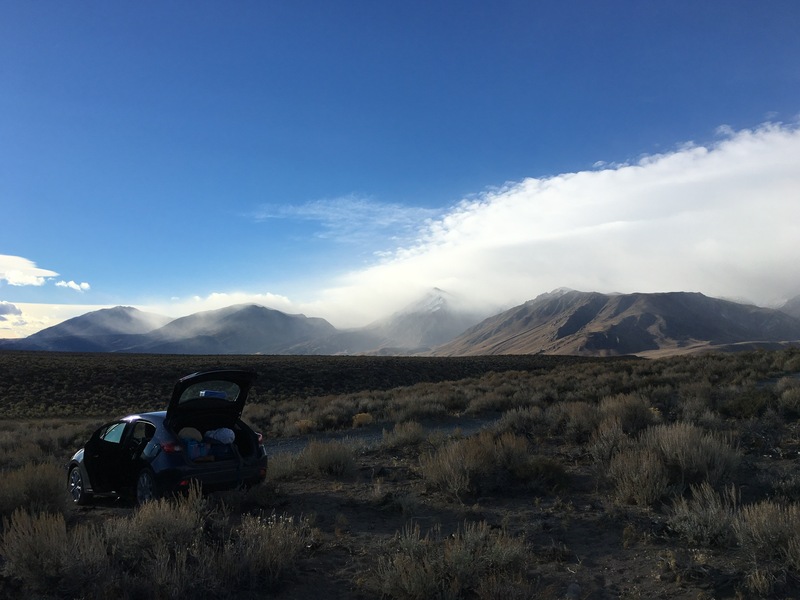 On the weekend of October 15th there was a 130 mph wind warning in the Sierra North of Mammoth Lakes from a massive storm drenching California in rain. My plans to alpine climb in Toulumne could not happen. I searched every climbing area in California to find one without rain and less wind risk. 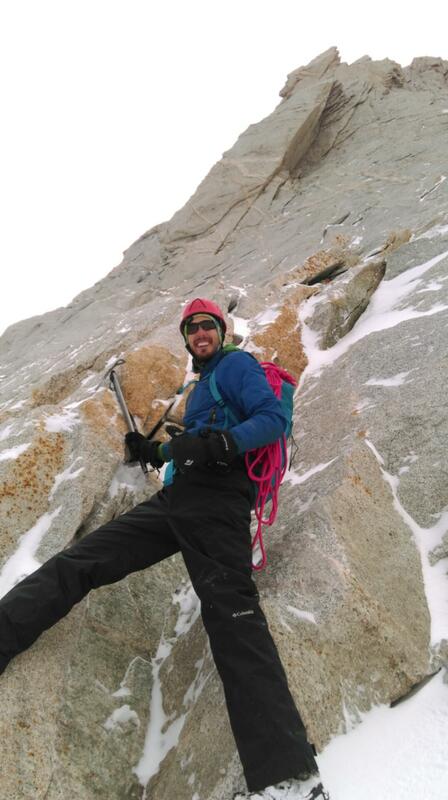 Finally settling upon Bear Creek Spire’s North Arete (⭑⭑⭑⭑, 5.8) still in a wind advisory, but less extreme. Leaving on a rainy Friday we arrived to a sprinkling campsite at Mosquito Flat at 1am. We gave ourselves until 5am to sleep so we could reach the base of the climb early and hopefully be down the mountain by sunset when the wind was supposed to pick up. The next morning we hit the dirt trail a little late at 6:30am. We were pretty quick until we reached the start of the talus approach. Over the next three hours we toil over talus and loose scree covered in ice and then with snow. We reached the base of the climb at 11am, a 4.5 hour approach. I had to dig out a flat belay station to stand in the couple feet of snow. 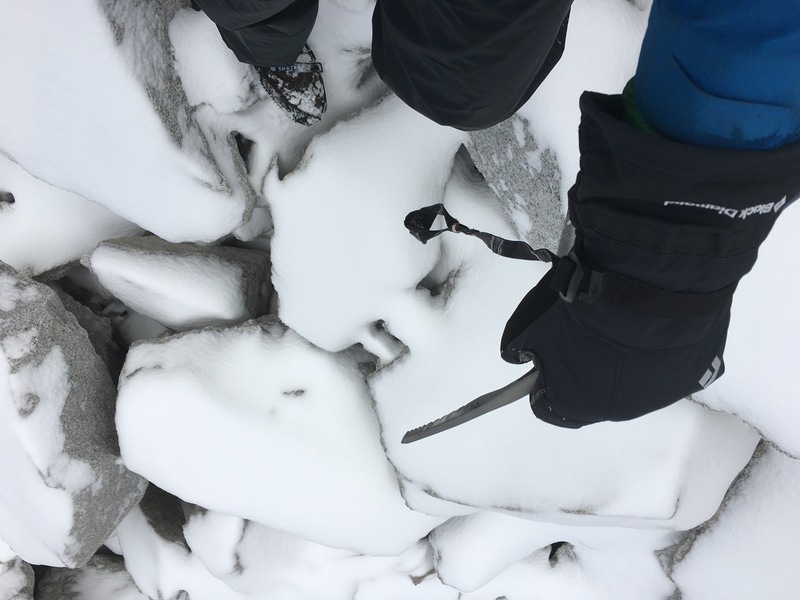 In this cold, breezy, winterscape my partner said to me, “Its so cold I don’t think my hands can grasp the holds in this rock”. Honestly, there were a dozen reasons to turn back and even more as to why we shouldn’t even be here when a huge storm was hitting the Sierra. No one else was trying to climb this popular classic this weekend. 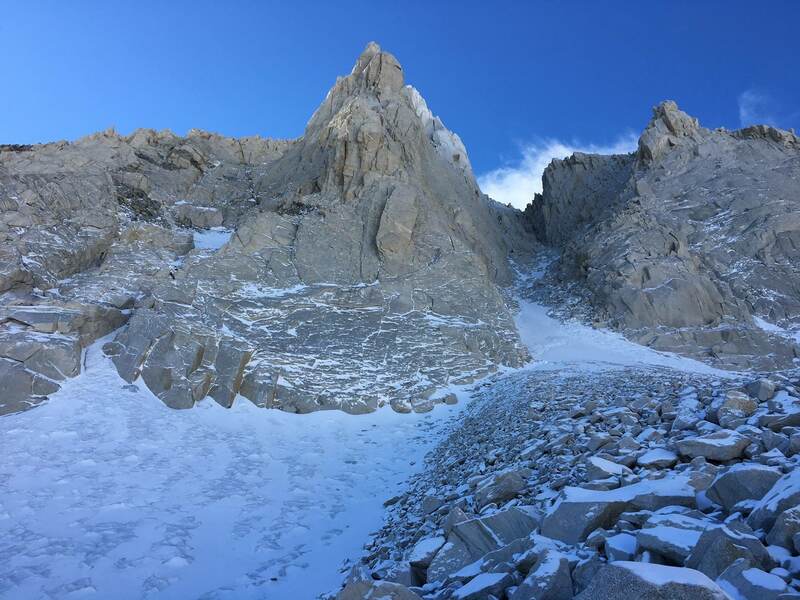 Bear Creek Spire’s North Arete. Belay station at the top of this scree field. I firmly believe in supporting everyone on the trips I go on and knowing their own limits so we ate lunch and turned around. Stumbling down now slippery slush covered boulders. Shortly after, clouds began to fly overtop Bear Creek Spire looking ominous but in the end not raining. Me really wanting to climb Bear Creek Spire at the base. It was a long day and we didn’t even climb the peak. We packed up, ate real food and then spent the night near a hot springs closer to Mammoth Lakes. The view on Sunday morning here was amazing. A blustering, malevolent storm battling the Sierra looking West, blue sky above, desert arid mountains East and a vibrant rainbow North. Sure, we didn’t accomplish our goal, but it was an adventure to even attempt this refusing to give up our alpine climbing desires. 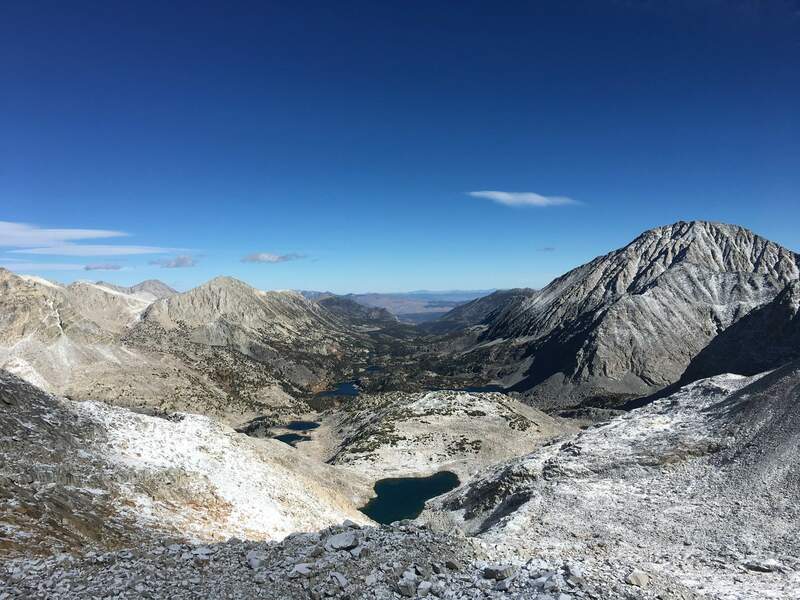 On the Friday before the trip, I found myself explaining why I would venture into a stormy mountain range under weather advisories with one simple answer: “I can’t not alpine”.